Many organizations use volunteers to help them maximize their resources and fulfill their missions. April is Volunteer Appreciation Budget. Recognizing volunteers does not have to be costly. Instead, some of the most meaningful forms of recognition cost very little. The most cost effective ways to recognize volunteers are informal. These strategies are usually on-going and seem unplanned. However, in reality, a lot of thought and planning have gone into make volunteers feel valued, appreciated and welcomed. Sending cards to volunteers to recognize special events in their lives such as birthdays, anniversaries, etc. Warmly greet volunteers when they arrive and thank them for their service when they leave. What other strategies has your organization used? Even if your organization has not planned a formal recognition ceremony for this month, I would encourage you to take the time to engage in some informal recognition activities. 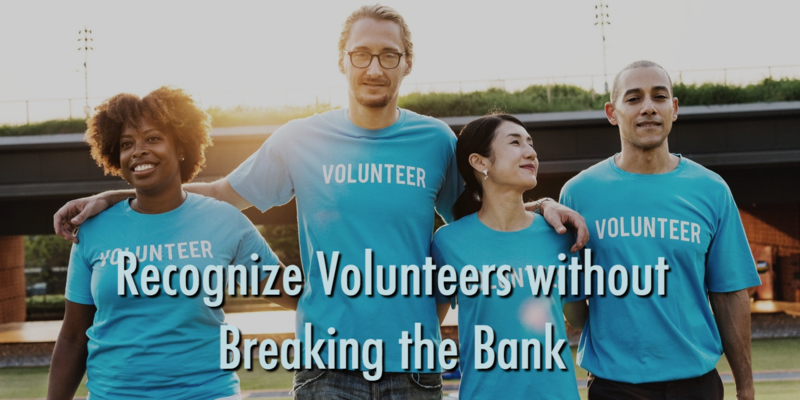 One of the best ways to recognize volunteers (and one of the most overlooked opportunities) is to create job descriptions for each volunteer. Define their roles and responsibilities to show them how valuable they are to the organization and to let paid staff know their specific role. Volunteers are valuable, and should be treated as staff, albeit unpaid staff. Integrate them into the culture of the organization as much as possible. Above all, remember that volunteers have a choice about whether or not to serve within your organization. If they don’t feel valued and appreciated, there are other organizations that will be happy to have their service.